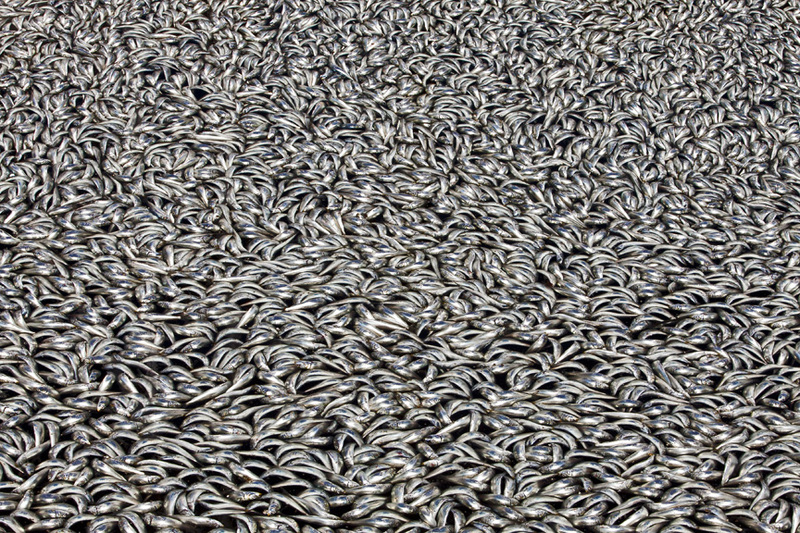 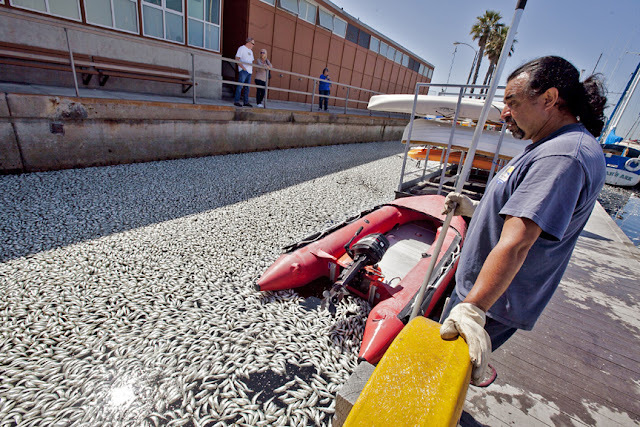 Millions of bait fish, mostly sardines, die inside Redondo Beach King Harbor. The fish, which are know to swim in giant bait balls numbering in the millions, were seeking shelter inside King Harbor due to rough seas caused by the high winds last night. 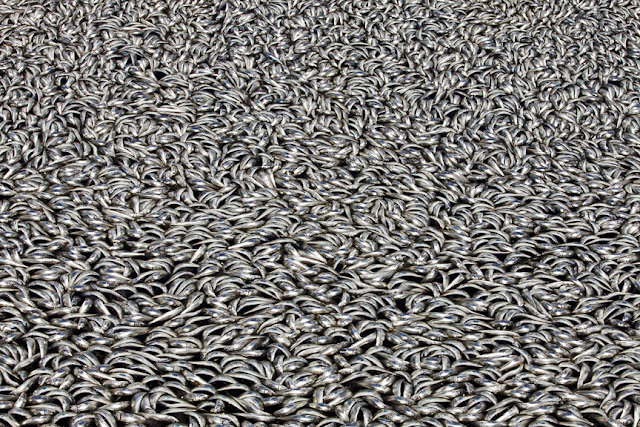 They became trapped inside the shallow waters of the harbor, quickly depleting the oxygen level in the water. 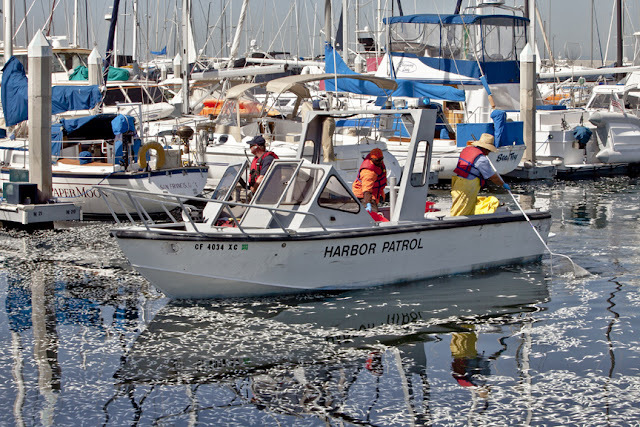 Fish and Game authorities measured the oxygen levels of the harbor waters at zero, it is usually at 3, the open sea is around 8. 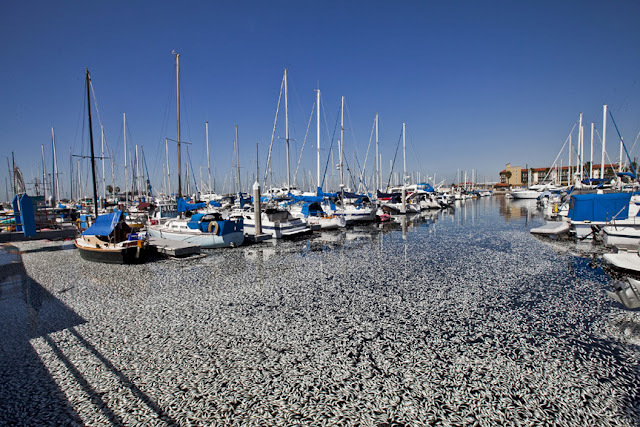 No red tide or high levels of toxins were found inside the harbor waters. 12 to 18 inches of dead fish have gathered on the bottom of the harbor as they sink after they die. Clean up efforts have begun and may take days to complete, costing the City of Redondo Beach about $100 thousand dollars. 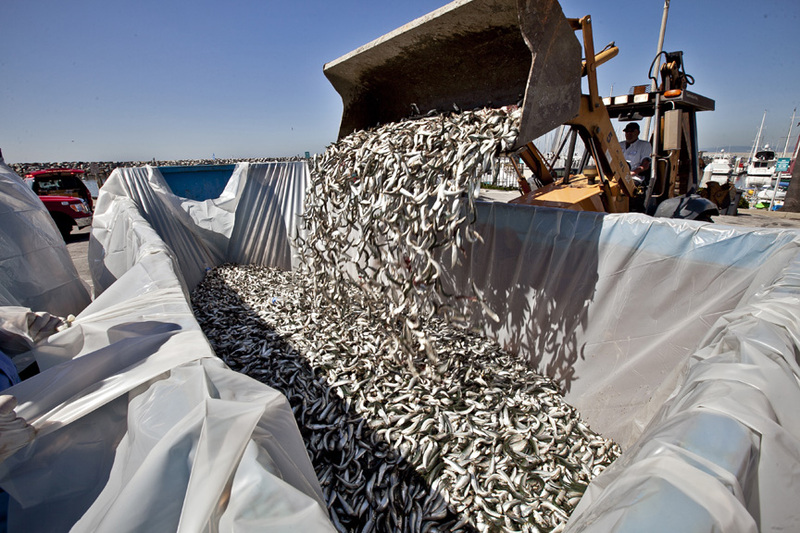 City officials worry that more fish will again attempt to seek shelter inside the harbor this evening, if area high winds continue. 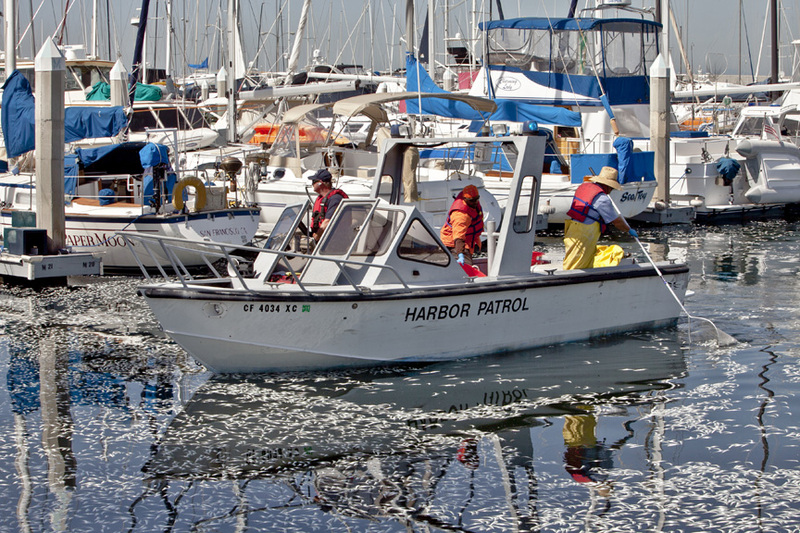 Harbor Patrol attempts to clean up the dead fish.